Clients wait in the city hall room for their turn to get groceries and are asked to help get plastic bags doubled for use in the grocery room—even if you bring cloth bags! 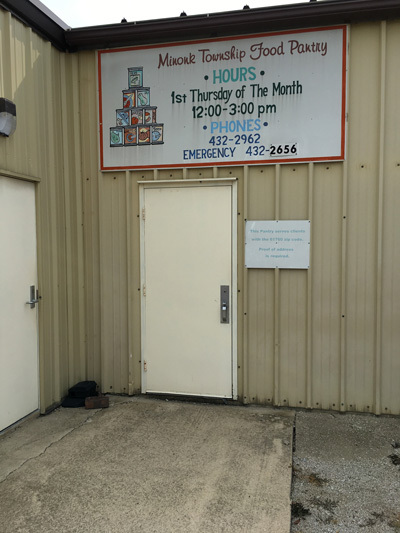 The grocery room gets crowded with 6 workers and 4 or 5 clients at a time, so we ask that, for safety, small children not go in the grocery room. You are responsible for your children. You may want to bring a friend to watch your child, or bring activities they enjoy. There are a couple of workers in the waiting area, but if they get busy it can be hard to keep a close eye on your child. Willful diversion of USDA commodities for personal gain is a state and federal offense subject to a fine of up to $25,000 and/or imprisonment up to 5 years. 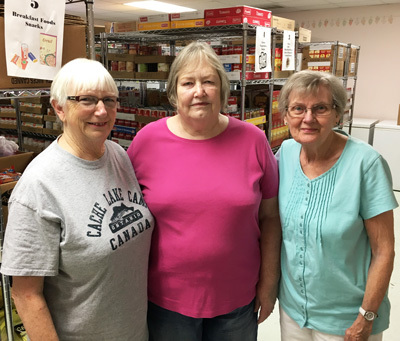 Food pantry workers from the left are Nancy Redenius, Lila McCully and Shirley Barth. 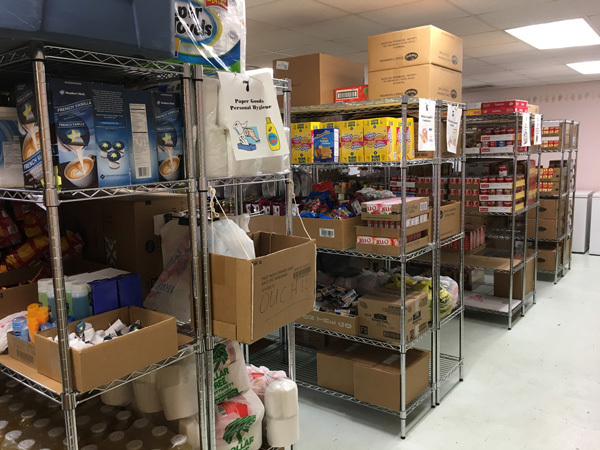 Other volunteers who help out at the food pantry are Esther Gauger, Pat Copp, Paul Vallow, Linda Azbill, Kris Lohr, Donna Herman, Larry Miles, Bradley Rodseth and Larry Falk. There also is a representative from each church and one from the city and one from the township. Entrance to the food pantry is at the rear of City Hall.